This local/regional choirs gathering is part of the Crediton festival (CREDFEST) a great chance to experience singing with approximately 250 singers. Nickomo is a composer, arranger, and leader of community choirs. The Harmonic Temple chants are all his compositions. Rasullah will help Nickomo teach the harmonies to make the learning process easier for the group. An opportunity to work creatively and in-depth with the Alexander Technique in relation to singing and breathing and to explore how releasing unnecessary tension patterns can free and expand your voice, and enhance performance. 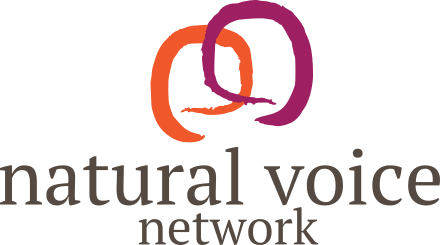 Bringing to London some of our wonderful Natural Voice Teachers for one day workshops. Blokefest 2019 – The amazing all-male singing weekend is heading north. One of SingWiv’s regular monthly Saturday afternoon workshops led by Chris Rowbury. Learn songs from around the world, in the original languages, in glorious unaccompanied harmony. It’s great FUN! All welcome, no experience necessary. This long weekend summer workshop in Toronto takes place at the Mansfield Outdoor Centre in Mulmar, Ontario (near Mono Cliffs and Toronto). Improve your harmony singing skills with mindfulness techniques and exercises for singing harmony in a smaller group. Our 10th annual celebration of summer at Leathley Parish Hall, with singing, dancing, and more! I am excited to propose this singing and hiking holiday in a unique and beautiful landscape, la Sierra de Guara in the Pyrenees (North Spain). A singing week led by Jane Harris at The Song House, an inspirational retreat centre nestled in the foothills of Muckish mountain in the wilds of the Donegal Gaeltacht in the north west of Ireland.